Now that you have your mind made up on having a beach wedding indefinitely, it’s time to find the location that is perfect for you! I have to say that you are one of the rare brides that get to have fun with finding the venue of your choice. How many people can say that they were able to enjoy going to various beach locations to get some inspiration on where they would eventually have their big day held at? Not a lot! Embrace the fact that you can experience a little piece of heaven and a little getaway from the chaos that wedding planning can become sometimes. You should also revel in the fact that you have me here to give you even more guidance to make your planning that much smoother! Can you feel the ocean breeze on your skin yet? I know that you probably have seen those movies that portray wedding planners as these overbearing individuals who seem to want to take over the bride’s entire day. 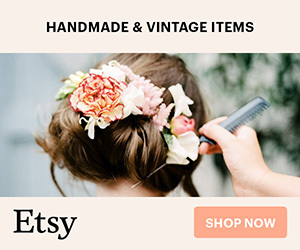 You have probably been terrified of getting one because you fear being overwhelmed with too many options, colors, fabrics, flowers, and décor to choose from. I’m here to tell you to not panic! 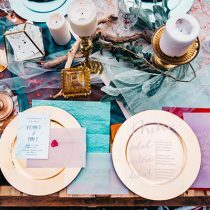 This part of the wedding planning is not as bad as you think at all and can potentially save you some headache and stress leading to that big moment of “I Do”. It is the wedding planner’s job to handle all of the miniscule details that will culminate into the wedding of your dreams. This person is going to help take the bulky work off of your shoulders so you can focus on the more important things, like making sure you can fit into your dress and your bridesmaids don’t procrastinate on getting theirs (among other things!). Another plus to having a wedding planner is that they are already trained and well-versed in having a good idea of where the best locations are. For you, this means that you just cut out a ton of researching that would otherwise take you forever to do on your own. Whether you are having a hometown beach wedding or destination beach wedding, your wedding planner would be able to help you find the best local venues for both the ceremony and the reception while keeping your budget in mind. They would already have some good experience with working with certain suppliers and could help you cut out the middle man, as well as compare the pros and cons of each potential venue. This is a very important question that you should have asked yourself the minute you started wedding planning. If you already asked yourself this, take this as a gentle reminder. Sometimes we can get so caught up in the glitz and glamour of things that we forget that prices really do add up. 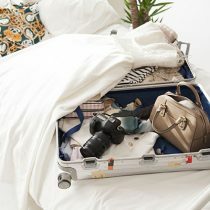 It’s vital that you set your budget and stick with it so that there are no unpleasant surprises later on down the road. 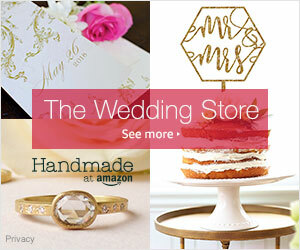 This is extremely important when it comes to looking for your dream wedding location. When you and your wedding planner are keeping your budget in mind while on a mission to find your location, it will really help you make a quick decision on whether you choose to exchange vows in St. Thomas or at a private, more affordable local beach in your area. If there is one part of wedding planning that seems to last until the very last days leading up to the actual wedding, it’s the guest list count! I’m pretty sure that by now, you and your husband-to-be have gotten into some interesting debates about how many people should be invited and how many people shouldn’t. Things can get a little sticky when you are joining different families together because neither one of you wants to leave anyone out for fear of being royally disowned by a bitter, but distant family member. The reality is that you just can’t invite everybody! So it’s best to come to agreement of an equal number for both of your respective families. Letting your wedding planner know the number of people that you expect will greatly help with picking out the best reception venue to suit your needs. Another proactive tip that eases your planning is to decide early on whether your beach wedding will be formal or informal. This will further filter your options so that you can narrow down on the right one. If you were already a lover of travel before you met your beau, then you are in even more luck! You have the advantage of having already seen some beautiful places in the world. So if you are planning a destination beach wedding, this certainly works in your favor! Since you’ve already experienced those places in a relaxing mood, it’s time to pull out those pictures and start reminiscing! If there was a particular destination that you absolutely adored, I would suggest having that place as one of your top picks for possible beach wedding locations to make your decision much easier for you and to cut planning time in half. At this point, you and your wedding planner should be getting along quite beautifully by now! A trial run? Yes please! 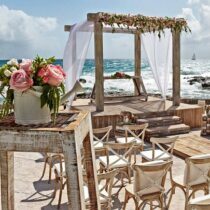 The last phase of your beach wedding location planning should involve you doing some surveying in advance to see how the place would operate on an ordinary day. Make this an adventure and get creative with your imagination by pretending you are an undercover private eye who is looking to see how a certain environment flows when the employees know that they aren’t under the microscope. Trust me, at this point in the wedding planning, you want to have a little fun to kick the tension out the window. Visiting your beach and reception venue as just a regular customer will really give you some insights on how things are handled and if they are handled according to standards that you can be comfortable with. You should be able to already feel the ocean breeze and sand between your toes now! I’m convinced that right now you feel a lot more at ease with planning the beach wedding paradise of your dreams. Remember all things are possible!